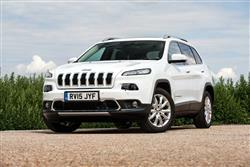 Find out everything you need to know on the new Jeep Cherokee from independent vehicle review website Car And Driving. You can watch the video review to the left to see more of the car or read their written review below to get a true insight from an expert in the automotive industry. Jeep reckons that their Cherokee was the 'car that created the SUV segment', which makes you picture the tough, rough off roader this model used to be - but isn't any more. Forget setsquare styling and agricultural underpinnings: this fifth generation model is very different - like no Cherokee we've seen before. Its chassis is more car-like and, in diesel form anyway, its off road credentials are less pronounced, though there's still a clever Selec-Terrain traction control system to offer more capability than most rivals can provide. This won't be a car for everyone but it's a different, welcome contender if you're looking for a RAV4-class compact SUV or shopping at the upper end of the Qashqai-class family-sized Crossover segment. You think you know the Jeep Cherokee, right? It's that square, fairly unsophisticated thing that you have to make all kinds of justifications for when your friends look a bit puzzled and ask you why you didn't buy a Toyota RAV4. After which they start wondering if you're about to buy yourself a shotgun rack, a bowling ball and a barbecue to cook squirrels on. The old Cherokee was always a bit of an unreconstructed redneck, but big-hearted, honest fun nevertheless. The SUV marketplace changes quickly though and those that can't adapt tend to die. The Cherokee's shtick wasn't really cutting it and sales were haemorrhaging. The result is a radical reimagining of the Cherokee. Get a good look around today's car and it's almost as if Jeep has skipped a couple of generations in development. The good old boys with webbed feet and banjos aren't going to like this one bit. In contrast, those accustomed to a little more sophistication need to give it some serious attention, especially since the addition of frugal 2.2-litre MultiJet diesel power to the range. Jeep offers two Fiat-derived diesel engine choices, plus a rare 3.2-litre petrol V6 for top 'Trailhawk' variants. We'll concentrate on the diesel range here, where entry-level buyers get a 140bhp 2.0-litre MultiJet unit with a six-speed manual box and a choice of either 2WD or 4WD set-ups. Offered only with 4WD is the preferable and more modern 2.2-litre MultiJet powerplant, available only with a 9-speed auto gearbox. This engine comes in either 185bhp or 200bhp guises and offers a significantly wider spread of torque from low rpm, greater power, improved performance and better fuel economy than the out-going two-litre 170 hp automatic engine. The new 2.2 engine is already Euro 6 compliant. The pokier version in basic 'Active Drive I' guise makes 62mph from rest in 8.5s en route to 127mph and develops 440Nm of torque. The Cherokee does still remain a slightly more capable choice than rivals in the RAV4 or CR-V soft roader class, though that's not really because of its standard 'Active Drive I' 4WD system: this simply shuttles torque from front to rear in response to slip, just as you'd find elsewhere in this segment. What makes this car a little more effective in the slush than the unremarkable class norm is the way this set-up combines with Jeep's clever 'Selec-Terrain' system - designed to be like having an off road expert sitting next to you as you drive. With a push of a button on the Selec-Terrain dial, you can choose between a series of customised settings to suit the ground you're travelling over. On standard versions, there's 'Snow' or 'Sand/Mud' options if you're offroad, a 'Sport' option for on-tarmac use and an 'Auto' setting if you can't be bothered to choose. For a car that could manage a bit more than that, you'd have to opt for Jeep's extra cost 'Active Drive II' 4WD system that adds a low range gearbox and Hill Descent Control to ease you down slippery slopes. That front end is sure to divide opinion. For what it's worth, we think it looks great and shows that Jeep can retain elements of the traditional, such as the seven-slot grille, but give it a new twist with some thoroughly modern headlights and a more purposeful stance than ever before. At the side, you'll spot the traditional trapezoid wheel arch shape, married to a low, sleek glasshouse. LED tail lights that seem to take a bite out of the rear window glass and a curvaceous tailgate catch the eye at the back. As an option, buyers can also have a CommandView dual-pane power sunroof which extends from the windscreen to the rear of the vehicle. Cherokee interiors always used to be tough but uninspiring. Nowadays, dull colour schemes, cheap plastics and poor ergonomics just won't wash in a market where even the cheapest Korean SUVs feature soft-touch plastics, serious budget spent on all the touch-points in the cabin and demonstrate a laudable attention to detail. Therefore the Cherokee has had to shape up. The centre stack bezel is inspired by the outline of the front grille of the 1940s Willys Jeep. A vinyl-wrapped, stitched instrument panel brow is standard on all models and the stitching carries over to the centre console armrest and front door armrests. The seats are available with a memory adjustable mechanism and heated/ventilated features for the front pair. The 60/40 split second-row seats adjust fore and aft for increased passenger leg room and cargo versatility. A top storage tray is located above the centre stack on top of the instrument panel and the front-passenger seat folds flat and offers hidden storage by flipping up the passenger seat cushion. Prices start at just over £26,000 for the 2.0-litre Longitude 140 6-speed variant, rising to around £38,000 for the top 2.2-litre 200bhp Limited automatic 4WD model. All versions are well equipped, coming complete with LED daytime running lights, LED tail lights, front foglamps that light your way around the bends, Jeep's handy 'ParkSense Rear Park Assist with Stop' sensor system, an alarm and 17-inch aluminium wheels, whose finish is matched on the window surrounds, grille, roof rails and exhaust tips. Inside there's automatic air-conditioning and electric front windows, along with a six-way adjustable driver's seat. That's on top of cruise control, a fold-flat front passenger seat and a leather-trimmed steering wheel with buttons for the 'Uconnect' infotainment system with its 6-speaker audio set-up. This includes USB and Bluetooth connectivity, plus an audio jack input point, a remote SD card slot and an integrated voice command set-up. You also get a useful 'Cargo Management System' in the boot with a removable grocery bag and a universal module rack to which you can attach all kinds of extra-cost Mopar accessories - things like a cargo bin and mat, a foldable cooler and a first aid & emergency kit. Standard safety features on the Cherokee consist of seven standard airbags (front seats multistage air bags, side bags, window bags, driver side knee air bag), Electronic Stability Control with rollover mitigation and anti-lock brakes with off-road calibration. There are also some advanced options like Forward Collision Warning-Plus, ParkSense Parallel and Perpendicular Park Assist, Adaptive Cruise Control-Plus, Lane Departure Warning-Plus, Blind Spot Monitoring and Rear Cross Path Detection. As a result, the Cherokee did enough to earn the 'best in class' safety designation from Euro NCAP in the Small Off-road 4X4 category in 2013. Running costs have always been something of a thorny issue for Jeep. Traditionally, the brand builds its cars for a tough life - and that means extra weight. Which in turn, has usually previously meant a less than stellar showing on the balance sheet. With this fifth generation model, the brand was determined to show that off road excellence and efficiency could be combined in one complete package. So, how have they done? Not too badly as it happens. The 140bhp 2WD variant manages 53.3mpg on the combined cycle and 139g/km of CO2. Most though, will be looking at the 2.2-litre automatic model. Thanks to its efficient 9-speed auto transmission, the 200bhp variant can manage 49.6mpg on the combined cycle and 150g/km of CO2 in 'Active Drive I' form. Go for this engine with the more capable 'Active Drive II' set-up with low range transmission and the returns fall to 46.3mpg and 160g/km. So, you get the point. Jeep is now there - or thereabouts - when it comes to running cost returns. Indeed, in most cases, the only directly competitive models that can better it are significantly less capable vehicles. So how has Jeep done it? The brand points to things like optimised aerodynamics: even the tail lights are designed to improve separation from the air. Detail touches like the lightweight aluminium wheels help too. Plus of course there's the usual Stop/Start system, which cuts the engine when you don't need it, stuck in traffic or waiting at the lights. Progress. It isn't always welcome but sometimes it's necessary. It's what's created this fifth generation Jeep Cherokee, a car that's simply had to evolve under the twin pressures of very different brand ownership and market demand. Long time Cherokee owners unfamiliar with the unusual looks will also be unfamiliar with the tarmac-orientated driving experience. Still, there aren't many people like that still about and the new brand converts Jeep is hoping to target will find this car easier to adjust to than any model it's made to date.